Trade fair for the metalworking sector. EMO, as the world trade fair for machine tools and metalworking is held alternately in Hannover and Milan. International exhibitors present at this trade fair, the latest materials, products and applications. 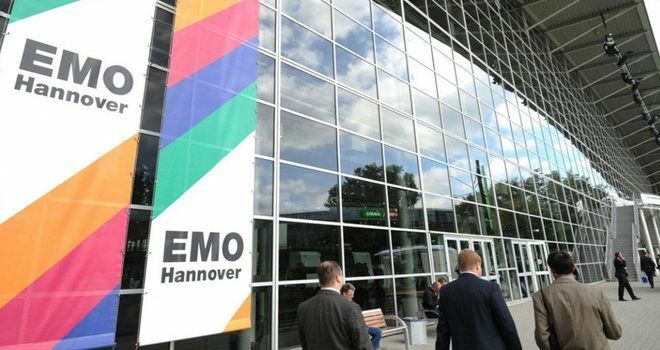 The EMO 2019 will be held from 16 to 21 September, Hannover Fairground, Germany. Why exhibit and attend EMO 2019 Hannover? EMO Hannover presents an unparalleled width and depth of products and services throughout all production areas, from machine tools and production systems for cutting and forming, to precision tools, accessories and controller technology, system elements, and components for automated manufacturing. This is what makes EMO so attractive and draws the whole spectrum of user industries to Hannover. As the largest and most comprehensive metalworking trade event, EMO Hannover has become the main platform for technology providers to demonstrate their latest solutions. Looking to exhibit in Hannover? We are your full service, exhibition stand builder worldwide. For exhibition stand design and construction at EMO Hannover, please contact our sales team.